When President Obama was sworn in as President, America’s unemployment rate was 8.5 percent. Fifteen months later, it had climbed to 10.2 percent. When President Obama was sworn in as President, Iowa’s unemployment rate was 6.2 percent. Fifteen months later, it had climbed to 7.4 percent. The President’s economic initiatives aren’t producing jobs. I wrote the piece that follows for the Des Moines Register last December. It appeared on December 13th, 2009. The piece was based on a telephone interview I had with Senator Charles Grassley. 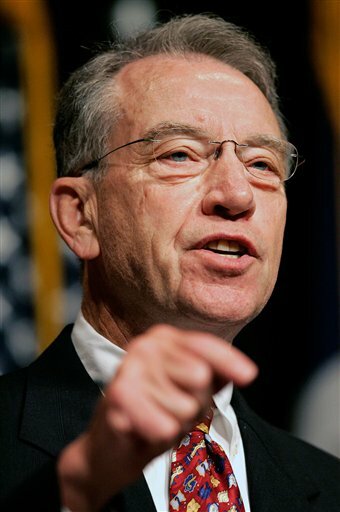 Senator Grassley presented a proven path to job creation: an expansion of free trade. Specifically, the Senator discussed the merits of the pending Korean Free Trade Agreement. The bill has been held up by Democratic Party politics. Since then, unemployment for the U.S. has increased a half a percent and the unemployment rate for Iowa has increased even more. While Democrats dither, Iowans are losing their jobs. The President believes increased taxes, increased government spending, and increases in government regulation are the path to job creation. He said as much this week when he was in Iowa. There are legitimate pros and cons to pending Wall Street reform, but they’re not the key to job growth. Free trade is. And it doesn’t increase our taxes. It doesn’t increase government spending. And it doesn’t increase government regulation. Senator Grassley gets it. He’s worked in the private sector. The President is too beholden to unions and Democratic Party pressure groups to advance the Korean Free Trade Agreement. He doesn’t get it. Our job as voters is to promote the positive message of free trade to the rest of our congressional delegation. Iowa needs jobs. Read the piece that follow for details. Then get on the phone and call your representatives in Congress to support the Korean Free Trade Agreement. Be sure to rate this post. Unemployment is killing us. I know of so many people who have lost their job and many of those still employed feel insecure. The President held a “jobs summit” to look for solutions. I don’t trust the President’s judgment when it comes to creating jobs. He’s never run a business or even worked in the business sector. In fact, he is openly adversarial to the private sector. What does he believe in? Higher taxes on oil companies. Higher taxes on capital gains. Higher income taxes for high income earners. More government regulations on practically everything. Budget-busting stimulus packages. His ideas aren’t creating jobs. They deter job creation because they increase the cost of doing business. They increase the risk associated with running a business. The President and his party could do something very practical right now to create jobs: approve the Korea Free Trade Agreement. South Korea is a huge market for manufacturing, services, and especially agriculture products. The upside to the agreement is substantial. 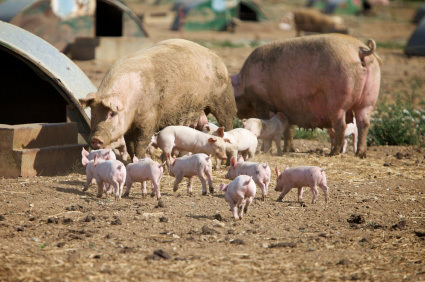 Did you know Korea is the sixth largest export market for pork? Japan is number one. But according to the Iowa Pork Producer’s website, pork exports to Korea could surpass Japan’s once the treaty is fully implemented. Even more, they project the agreement would give our pork producers an increase of $10 per hog marketed. This is good news for Iowa. I talked to Senator Grassley about the bill. He called the agreement “vital”, even more important that the one we have with Canada, who is our biggest trading partner. He pointed out that the U.S. converted trade deficits into surpluses after implementation of trade agreements with Chile, Morocco, Bahrain, Oman, Central America, and the Dominican Republic. After implementation of agreements with Singapore, Australia, and Peru, our trade surpluses with those countries got even bigger. And Korea is a much bigger trading partner than any of these. The upside is off the charts. Grassley quotes Department of Commerce figures that tell us every billion dollar increase in U.S. exports create 20,000 jobs. Free trade is good for America generally and Iowa specifically. The treaty is negotiated. The work is done. So what’s the hold up? Representative Boswell’s support notwithstanding, President Obama and his party are dragging their feet. They want to go back to the drawing board on this agreement to appease Big Labor who want more protectionism built into the agreement. Let’s set politics aside and support policies that really create jobs. The Korea Trade Agreement is the perfect place to start.